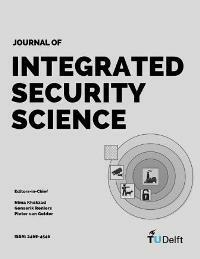 The Journal of Integrated Security Science (JISS) is aimed at publishing innovative scholarly manuscripts that make a significant contribution – theoretically or empirically – to all areas of physical security. Of particular interest are articles that combine science, technology, and regulations to invent sophisticated yet practical solutions for securing assets in the various domains including: chemical and process industry, oil and gas industry, transportation systems including HAZMAT transportation, power plants (nuclear, LNG, etc. ), pipelines, drinking water and water treatment systems, dams, commercial facilities, and government facilities. Allocation of resources to improve security is crucial when we consider people’s safety on transport systems. We show how a system engineering methodology can be used to link business intelligence and railway specifics toward better value for money. A model is proposed to determine a probability of a success in service management. The forecasting model is a basic Markov Chain. A use case demonstrates a way to align statistical data (crime on stations) and probability of investment into resources (people, security measures, time). Why should game theory be introduced and used in the chemical security practitioners? intelligently observe the defender’s defence plan and then schedule their attack accordingly. researches have demonstrated the capability of game theory in modelling intelligent interactions. Industrial managers need quantitative recommendations to support their decision making. being good at studying security systematically, are not able to provide quantitative insights. Bayesian Network framework (e.g., Argenti et al. (2018); Landucci et al. (2017); Fakhravar et al. strategy combination; 4) how much information that each participant has about the game. participant obtain (i.e., the equilibrium payoff). A conceptual framework for physical security culture in organisations is proposed, based on the integrative model of safety culture, as developed by Vierendeels et al. (2018). The proposed conceptual framework for physical security culture has the advantage that it brings security threats, technique, organisation and human aspects together in a coherent, integrative and related way. The framework includes five main domains of security culture, being (a) an observable technological domain, (b) an observable organisational domain, (c) an observable human domain, (d) a non-observable organisational domain or perceptual domain, and (e) a non-observable human domain or psychological domain. These five main domains can be further divided into several more specific sub-domains of security culture. At their turn, these sub-domains can be translated into measurable security results, being (a) observable security outcomes, (b) the security climate of an organisation or the shared perceptions on security, and (c) the individual intention to behave secure or insecure. The aim of the framework is to take all security-related aspects into account – based on the specific security threats to which an organisation is exposed – leading to a pro-active approach of the physical security of organisations. The framework provides specific points of departure to make the security culture measurable, and by extension controllable.